Zombies, of course. Scary political images are likely too. This Halloween, area residents will see plenty of walking-dead attire among this year’s popular costumes, in part inspired by Spokane being where TV’s “Z Nation” is filmed. Along with the zombie effect, hit costumes regionally are expected to range from politically charged imagery to retro pieces and clothes seen on popular TV shows and movies. Topping lists are characters from “Wonder Woman,” “Game of Thrones,” and various superhero flicks. “I think that politics is going to play a huge role this Halloween because of the political environment we’re in,” said William Marlowe, who teaches drama at Spokane Falls Community College and frequently directs shows at Spokane Civic Theatre. 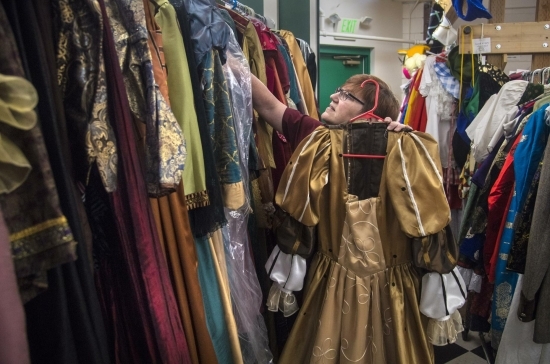 Jan Wanless, manager of Civic’s Rental Shop at Spokane Civic Theatre, already has fielded questions about costumes for certain pop culture characters.